I’m going to resist going full fanboy, giving this a 5-star review, and telling you to buy it. Instead, let us attempt a somewhat objective review of Ihsahn‘s Artkis. Anyone familiar with the Emperor frontman’s most recent work wont be surprised with the album. What is remarkable about Arktis. is the execution of the age-old Ihsahn recipe: one part Das Seelenbrechen; one part Eremita; just a sprinkling of Prometheus-era Emperor. The result is the perfectly seared rib-eye of Ihsahn’s later career. Released April 08, 2016 via Candlelight, Arktis. marks the sixth full-length album from Ihsahn. While I wouldn’t call it Ihsahn’s solo magnum opus (a title forever-and-always given to 2008’s After), the album has fulfilled all my personal expectations. Eleven tracks of carefully articulated prog metal, Arktis. incorporates about every genre we’ve come to expect. There are a handful of tracks, like the pre-released “My Heart is of the North,” that are standard fare proggy black metal, with sing-songy choruses. Just as common are the electronica and synth-ridden numbers, with spastic changes in tempo and tone. Even smooth and soulful makes its way into Ihsahn’s crooning voice, which has taken on an even more panoramic variety. Arktis. also features a new curveball or two, the first of which is “Until I Too Dissolve.” This track is something I can only describe as very close to power metal: Ihsahn even gives us a moment of falsetto, and that main opening riff could’ve been written by Van Halen. It is a straight-up banger. The odd pitches keep coming throughout the album, like the song “South Winds,” which is a bit too goth, and other moments that border on what I disdainfully call “circus music.” Those diversions are why I cannot give this album a full five stars. But for every moment where Arktis. manages go astray, there are hundreds where it excels. Ihsahn has also brought in a handful of guest appearances for Arktis., all of which complement the grander picture. “Celestial Violence,” the second-to-last track and album standout, features vocals from his ex-backing band Leprous‘ Einar Solberg. It also features Trivium‘s Matt Heafy on “Mass Darkness,” and Shining‘s [NOR] Jørgen Munkeby augments “Crooked Red Line” for a beautiful track reminiscent of Ihsahn’s After-era material. You knew it was going to happen, 4.5 out of 5 Flaming Toilets! 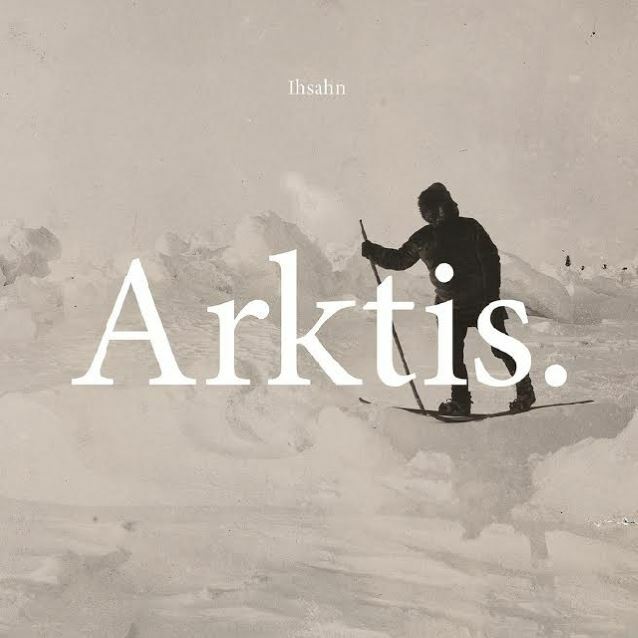 You can buy Ihsahn’s Arktis., out now on Candlelight Records (April 08, 2016).